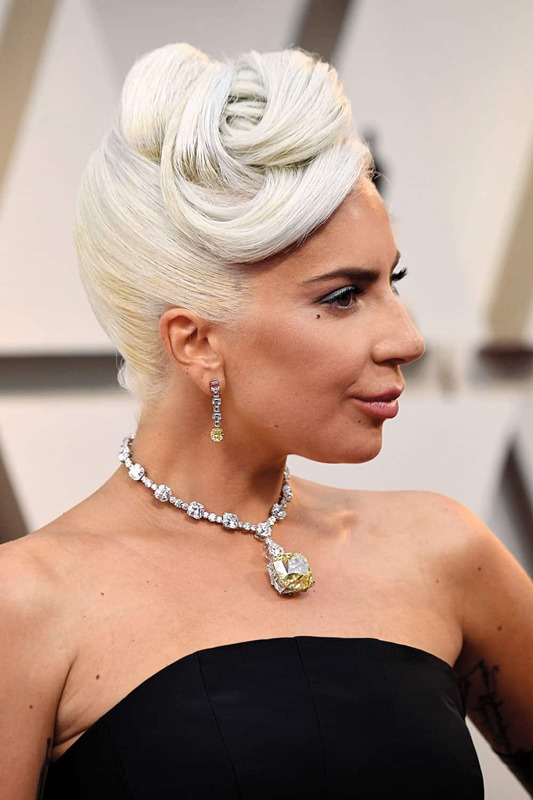 As Lady Gaga’s celebrated hairstylist for the past decade, Frederic “Freddie” Aspiras has created some of the most memorable looks in pop culture history. But little is known about the man behind the coifs. The Daily sat down with the lovable Angeleno at Soho House West Hollywood for an intimate chat. Your have hair in your roots! My mother was a hairdresser. She came to America from Vietnam in the mid-’70s, and I grew up in hair salons my whole life. She owned her own business in San Francisco and was a good role model. She’s very independent and strong, with a great business mind. As a kid, I actually didn’t want to do hair — I grew up wanting to do theater. I was a child actor in local plays. How did you end up doing hair? I’d go to my mom’s salon after school, and eventually, I started washing hair and setting rollers. 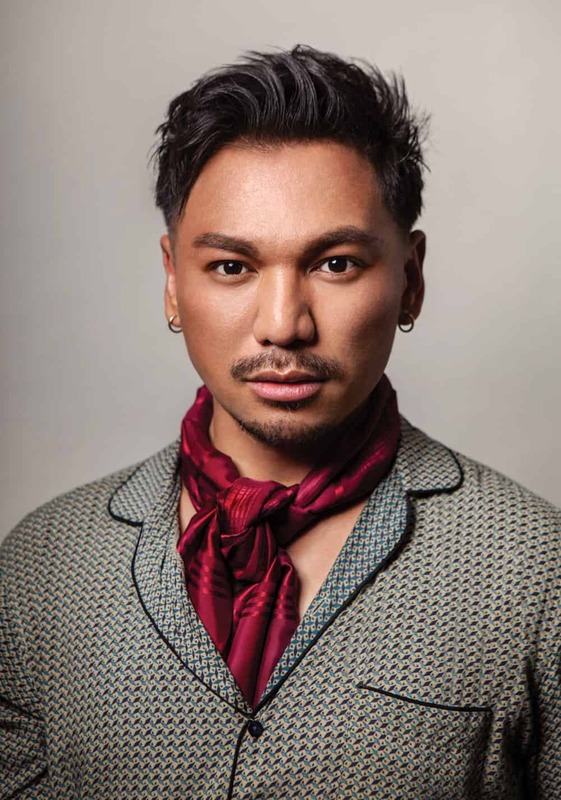 I always played around with my sister’s hair, but I was ashamed to do it, because growing up, I was a closeted gay in a really hard neighborhood where you had to be masculine. I had a beard girlfriend. I was trying to hide the fact that I was gay to my family, but my mother didn’t care, because she knew that I had this talent to do hair. When I was about 20, I started doing photo shoots. I didn’t really know about opportunities outside of salons until I met Kevyn Aucoin at a book signing at Rizzoli in San Francisco. It was such an eye-opener. We spoke, and he gave me precise tips and encouragement. I still have his signed book. Soon after, he passed away. What did you and Kevyn talk about? I was super nervous. There are a lot of parallels in our lives. I was shivering and told him how much I admired his work, and how I saw a lot of myself in him. He spent 15 minutes talking to me about my career goals and my family. He was open about everything and very encouraging. How did your family react when you came out? [Laughs] They basically all knew. I even had girlfriends but my sister was like, “Come on!” I used to spend hours in her room playing dress-up. I’d watch her do her makeup. When I finally told her, she said she had always known, and I didn’t have to wait so long to tell her. Like every young kid who hasn’t come out of the closet, there’s frustration, and I wish I could go back and have done it earlier. It’s what kept me from pursuing my passion. I hope that one day I can do [something] for all the young kids who look up to me. I meet so many young adults who have trouble expressing themselves to their family and friends or the world because of who they are. I am. I never really talk about this stuff. I’m quiet about my work, but I also know I’m in a place where I really have something to give back. And I know this is the time to do it. How did you wind up in Los Angeles? I had done a lot of commercial work in San Francisco, and I had a friend who lived in L.A. and worked in film. I came here in 2003 with about $ 1,000 to take a risk and just do it. I was really afraid of taking the leap. I didn’t know anyone here, and I had to go back to working retail because I was basically homeless. I lived in a hotel in Downtown L.A. because I was too ashamed to go back home. I didn’t want to look like I had failed. Nothing happened for three months. Eventually, I started meeting photographers and other hairstylists. It took about four or five years before I started getting paid gigs. I had no option but to be here. I tell my younger fans or people starting out that you have to give it all you’ve got and know that even if you fail, you keep trying. Those experiences of failure taught me a lot about what I know today and made me stronger. What year did you see things start to really pick up? It was 2007, which was the year that my father died. I have a hard time telling this story because I don’t want people to feel sorry for me. My oldest friends who know me, the ones I’ve known for 20 years, they know where I came from and they want me to talk about my dad. He passed away, and I just knew that life is short and I have to [pursue my dreams] for him. I went through a bad depression, and I had to take control of my life. One day I was freelancing, and got a phone call: “Do you want to work with Paris Hilton?” Everyone has their ideas about Paris, but she turned out to be a gift from heaven. She literally changed everything. She was very generous. We worked together for more than three years and traveled the world together. As much as she took care of me, I took care of her. We had a great friendship that changed my life dramatically. I went from living at my friend’s house to owning my own apartment and car. She believed in me and thought I had gifts. She has a big heart. How did you start working with Lady Gaga? I was at home after just coming back from Japan on a huge tour with Paris, promoting her 12th fragrance. We had been traveling for months and months. My agent [Kent Belden] called and asked if I wanted to do a tour with Lady Gaga. I was like, “Who’s Lady Gaga?” She had literally just done the VMAs; “Bad Romance” hadn’t come out yet. She needed someone to do wigs and extensions. There weren’t a lot of hairdressers who did that. Wig placement on a white girl? It was unheard of. I had a background in wigs and thought, “Why not?” Paris and I were having a work break. I saw [Gaga] on TV and she reminded me of Bowie. She was right up my alley. I get the creativity and the art. I showed up, popped a wig on her, and the rest is history. I was supposed to be doing a small theater tour for two months, but after “Bad Romance,” Gaga became a huge phenomenon — five tours, endless concerts, and now A Star Is Born. It’s an amazing journey. I can’t believe 10 years have passed. What’s your working relationship like? I’ve never met anyone like her who knows precisely how she wants her vision to be. She also surrounds herself with people she trusts who are talented at what they do. It wasn’t easy in the beginning — I had to really prove myself. I was spending hours and hours, day after day, making wigs and wigs and wigs. I did a lot of research. I love watching classic movies, which really helped. Gaga is such an encyclopedia of history in fashion, art, and music. The Haus of Gaga meetings are like board meetings — she’s at the head of the table, explaining her story, and then we go and do our homework. It’s interesting that you now work only with Gaga. At the beginning I thought I’d be able to work with others, but there really was no time. Why work with anyone else when she really does everything? We’ve done almost every look you can think of on one person, which is her enigma. She literally can be and look like anybody. What look are you most proud of in the past 10 years? That is very hard to answer. We’ve put so much thought into what we create. I think the best way to answer that question is, what makes me love something is the way it makes the person feel. It’s always been like that, even with Paris and the other people I’ve worked with. As for creations, the super-out-there creation when we did white dreads and seashells on Gaga’s hair. It was just a day in the park for us. She was walking out of a hotel in London — sometimes, those photos are better than shoots we’ve done! Why has your relationship had such longevity? Ask her that! [Laughs] It sounds cheesy, but I think she just believes in me. Even if she isn’t sure about something, she still believes I have passion and vision. She trusts me. I’m honestly one lucky guy, because not everybody gets that from somebody who is seen by millions and millions of people around the world. All of us in her camp have been together for a long time. We have a bond, and we all share the same drive and passion. Even when we aren’t working, we text and call one another to check in. What are your ambitions these days? I really want to be an inspiration to others. A lot of young adults today have a lack of ambition to keep going. What really made me want to speak up about who I am and what I do is my nephew, who is an adult. One day I looked at my Instagram, and he wrote this heartfelt post about how I inspired him. I never knew that before. My nephew is a really successful advertising guy in New York City, and he encouraged me to speak up about how we grew up in housing projects… After he wrote that, I knew it was the time to speak up. It sounds like you’ve received a lot of love from your family. This is the last time I’m going to cry. Couldn’t we have done this interview at Starbucks? These are happy tears! If I brought you home to San Francisco to meet my mom… she’s an amazing character. I wish I could be like her. She’s so charismatic. It’s no wonder people loved her so much. She retired at 70. She couldn’t stop working. I think that’s where I get it. I’ll just keep working until I can’t anymore. She watches me every day with such pride. She knew this was what I was meant to do.